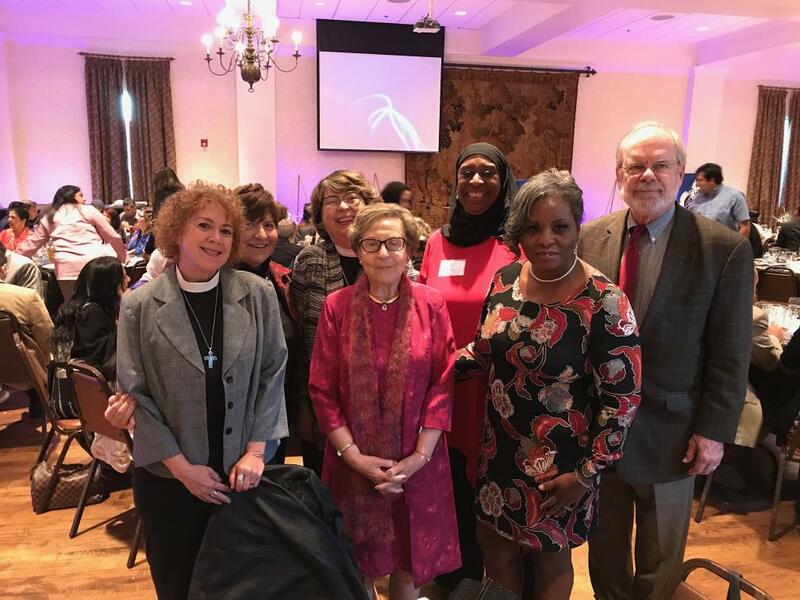 After a difficult week of explosives being sent to critics of President Trump, the execution of two African Americans in a Kroger grocery store, and the massacre of Jewish people worshiping in a synagogue; clergy and members of St. David's, Oklahoma City attended the gala of the Surayya Anne foundation. This is a group of Muslim women who provide for those less fortunate through a food pantry; thrift store; diaper exchange; and also assist with rent and utilities, often for the victims of domestic violence. Their generosity is extended to all faiths and all ethnic groups. There was also a table of Jewish leaders including Carl Rubinstein, who was head of the Interfaith Alliance. Oklahoma City metro churches should look into supporting this group to help them do the incredible, and much needed ministry in Oklahoma City. Being part of the gala was a ray of hope in a week of darkness.